First remove the master cylinder from the bike and strip it down. 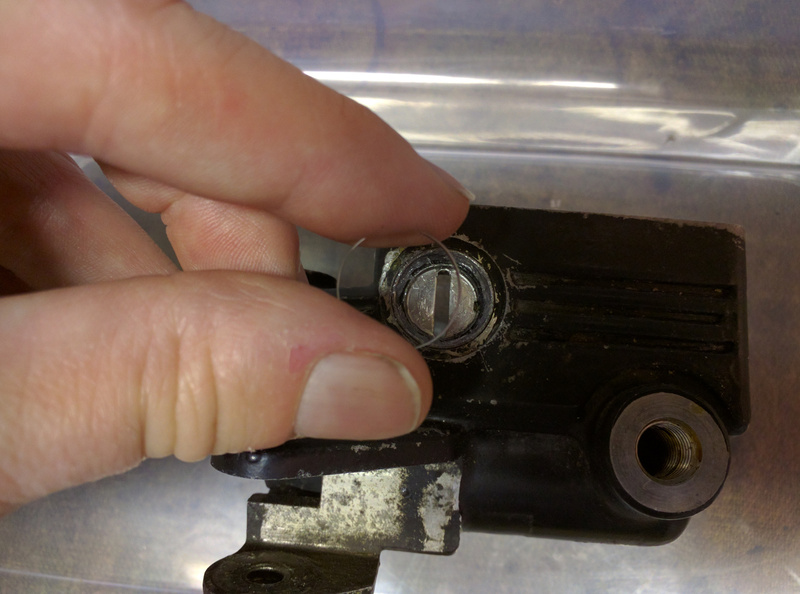 Next take a small flat screwdriver or a pick and pry out the old sight glass. 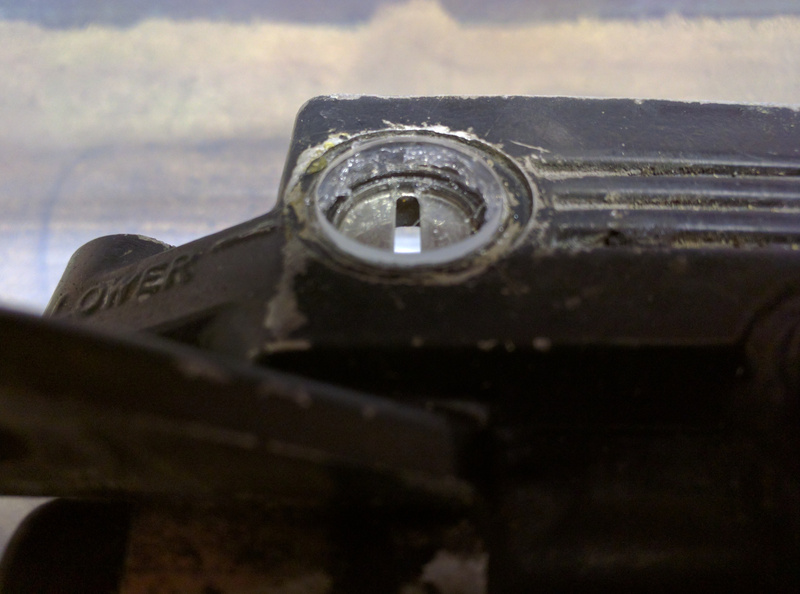 Be careful not to damage the slotted metal insert behind it. 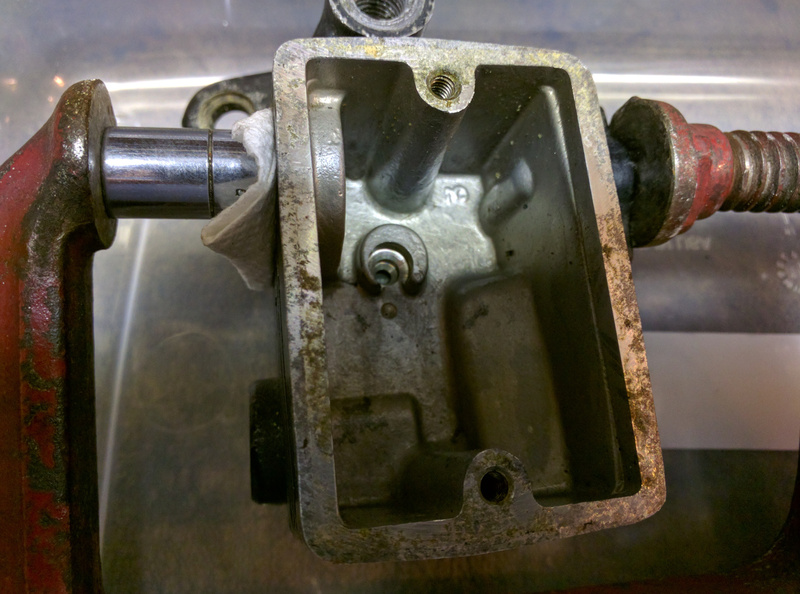 Thoroughly clean all of the edges of the opening so the new sight glass will make a good seal. 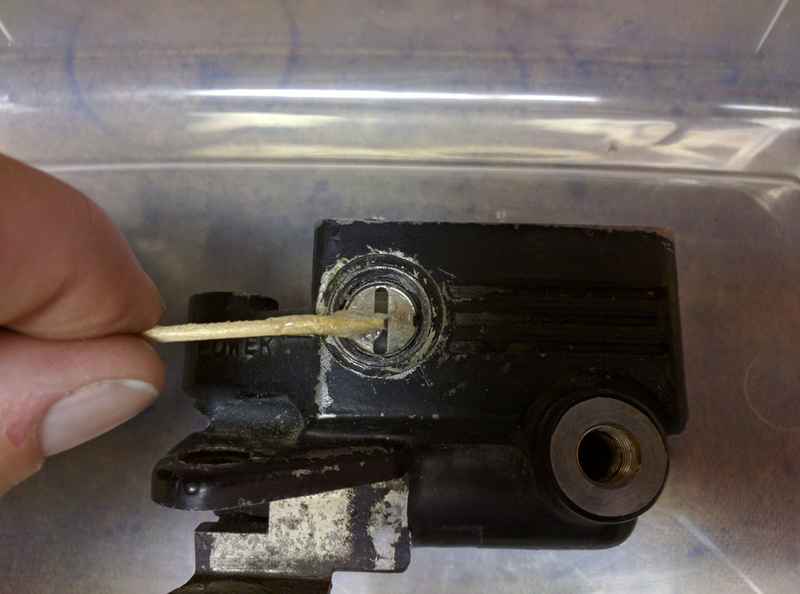 I used a pick and a wire brush in my dremel to clean it completely. This is what you’ll need to replace the sight glass. I ordered a bunch of 16.7mm x 2mm circular mineral glass watch crystals from here. The reason I ordered a bunch is because this site has a minimum order amount so I ended up buying 8. I tried to find some locally from a few jewelry and watch repair shops but had no luck. I also tried Amazon but only found 1mm thick crystals and preferred the 2mm. 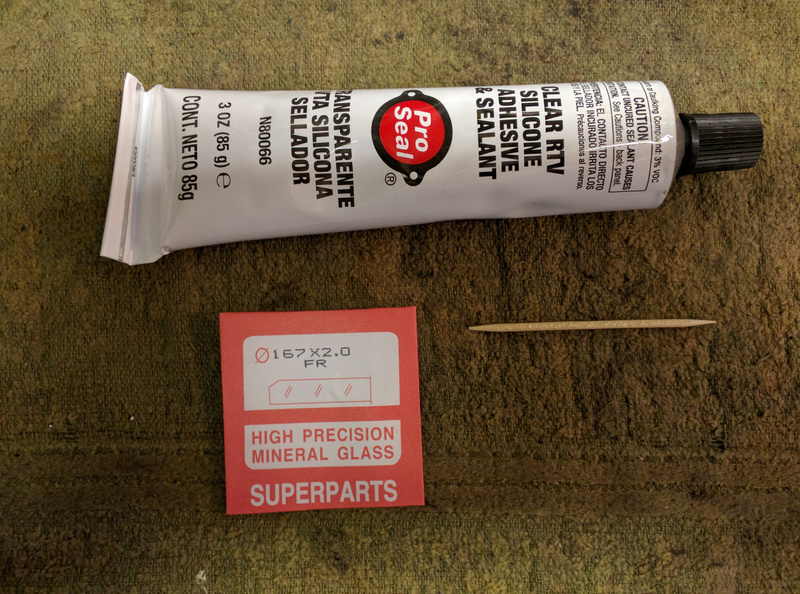 Also I have clear silicone RTV adhesive and sealant and a toothpick to apply it with. I’ve also seen people load the RTV in a syringe which would probably work better, but I don’t have any syringes, just toothpicks. Use the toothpick to smear a thin bead of RTV around the edge of the opening. Not too much as it will spread and go everywhere once the crystal is inserted. Just go slowly and make sure to keep the area clean. Next carefully insert the crystal. It’s very important to make sure that it goes in straight and level. If it goes in at an angle it will crack immediately. Don’t ask me how I know this, let’s just say it’s a good thing Ofrei made me buy so many crystals. Once the crystal is inserted check again that it is level before pushing it all the way in. Once the crystal is lined up you can press it all the way down. You should see a little bit of the RTV squidge out around the edges but hopefully not too much. 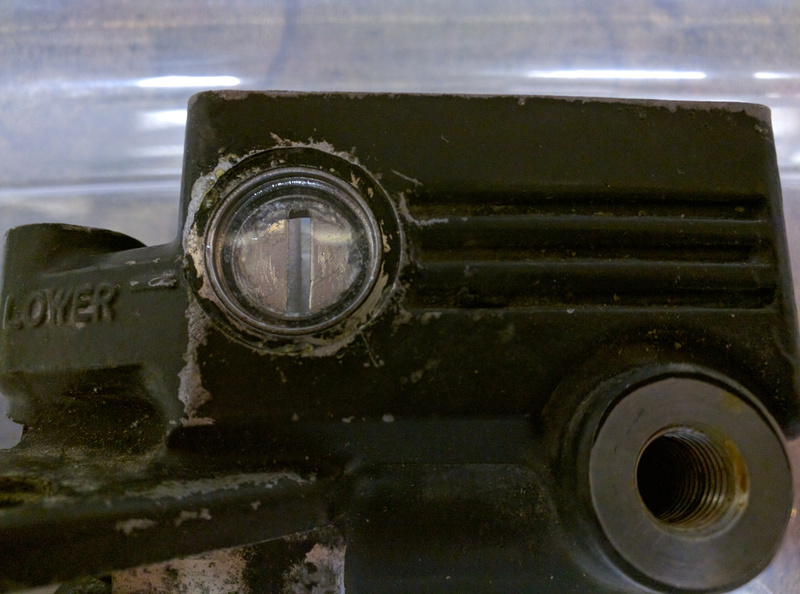 I used a 10mm socket and C-clamp to gently apply pressure while the RTV set. 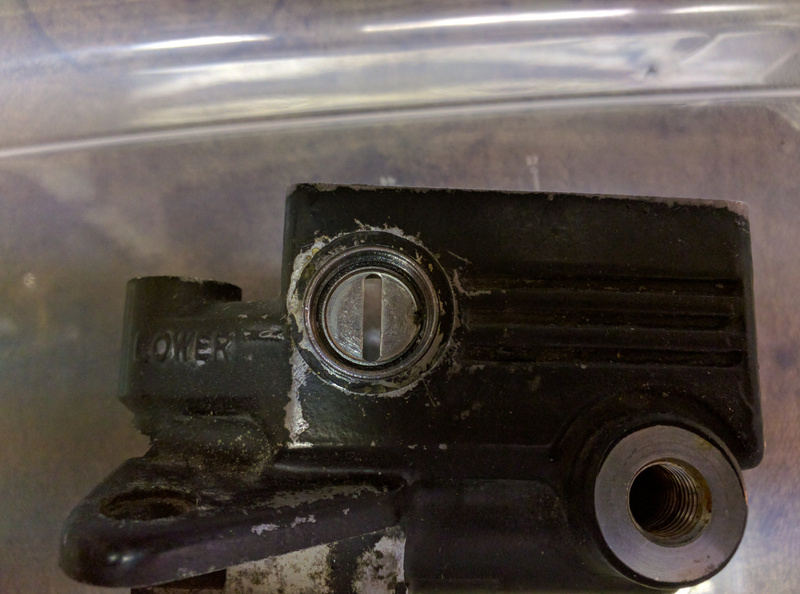 Very gently, the C-clamp was basically just holding the socket from falling and not applying any more pressure than that. I also put a small folded up bit of paper towel against the crystal to further cushion it. I didn’t want to crack another one. I put it on the shelf and let it sit over night but the RTV probably cured much quicker than that. 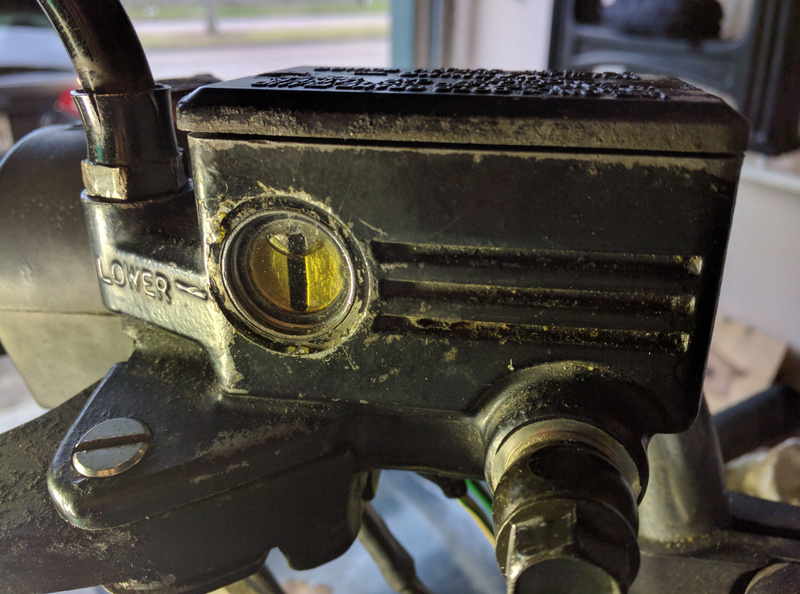 There it is, new sight glass installed and I can now see how much fluid I’ve got. 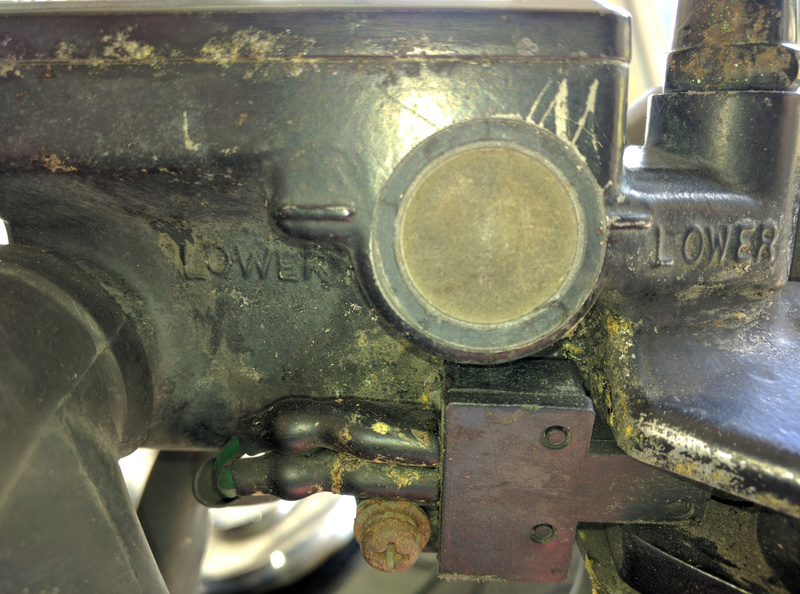 Even if your other sight glass isn’t leaking once this one is replaced it will make the other one look terrible by comparison so you’ll end up replacing it as well. Credit goes to the Nighthawk Lovers group and Mike21222 for the Ofrei link.